This week, Famitsu spoke with 45 different Japanese developers about Switch. Representatives from various companies were asked to share their thoughts about the Nintendo Switch Presentation 2017 as well as the system itself. There weren’t any major revelations, but some interesting comments were shared in the magazine. We now have some of the highlights from game makers such as Koei Tecmo, Square Enix, Capcom, and more. Interest is even shown from the likes of Idea Factory / Compile Heart. Continue on below for our translation. It’s coming out sooner than I expected! That’s the best way I can describe it. I thought for sure it would come later in March, but…March 3rd really surprised me. I was expecting the price to be ¥28,000, based on its performance, but I didn’t think the dock and Joy-Con grip and everything would be included. They’ve packed those in anyway, and still had the price at ¥29,980. That’s a fantastic value. Hiroyuki: I liked that they focused on the controllers in their presentation. It’s common to hear about processor speeds and HD capabilities at these kinds of presentations, but as a developer, that stuff is so boring. I don’t think those are what make games fun. Shugo: ARMS feels very Nintendo. I was talking [to my brother] about how it would be neat if we made a boxing kind of game on the Switch, but ARMS is way beyond what we had in mind (laughs). I did the “Pro-Wrestling LOVE Pose” at the presentation, but I don’t think people were digging it. But it broke the ice with the audience, so I think I’ll keep doing it. I’ll call it “SWITCH LOVE” instead of “Pro-Wrestling LOVE”! Anyway, I announced to everyone that I will be bringing back my most beloved character, Travis Touchdown. I’m so glad I got to announce his comeback at such a huge smackdown. It’s slammin’! There’s a lot of different ones, but the biggest innovation is the HD Rumble. Playing games takes way too much time, doesn’t it? So I think it’s really important that the HD Rumble is used just right for physical experiences, and I want to invent some brand-new mechanics. I thought it was great, it’s like Nintendo’s crammed all of the best parts of things they’ve ever made into one system. I think this idea they’ve come up with, where people have fun from looking at each other while playing, instead of the screen, will be really influential. Though it was disappointing that they didn’t announce any details on their online service. The Joy-Con fit right in my palms, which made the punches feel even more real when I was playing ARMS. The HD Rumble can produce really intricate feelings, and I think haptic sensations will open the door to whole new experiences within games. It’s cheaper than I thought it would be, so I’m looking forward to the market surge. Nobunaga’s Ambition: Sphere of Influence with Power Up Kit is coming out on March 3rd, and then Romance of the Three Kingdoms 13 with Power Up Kit is coming out on March 30th. I’d like to continue supporting the influx of new hardware as a developer. HD Rumble, and the evolution of the gyro-controls in the Wii remotes. If developers make good enough use of them, I think they can surpass the innovations that were achieved with the Wii, so I’m really looking forward to their results. HD Rumble is hard to understand it without experiencing it in person, but it’s really amazing. We’ve included functionality for it in Dragon Quest Heroes 1-2 for Switch, so please look forward to that. Do digital games dream of analogue games? Is Nintendo trying to liberate digital games from what are known as screens? That is what I have been expecting Nintendo to do since the Wii U, and now my prediction has come true. They have finally escaped the shackles of the screen with the Switch, and introduced to us a digital game where players stand eye to eye. The possibilities are infinite. As a fan of analogue games, it is overwhelming. Is an HD Rumble novel possible? What kinds of images can we evoke from worlds depicted with just letters and vibrations? Fear induced by the rumbling. Suspense. I think it would be possible to create an overwhelmingly frightening game with it. Also, the feeling and weight of it. This is a little embarrassing, but I think it is a good fit for romance-themed visual noels as well. And just imagine how HD rumble controllers could enhance analogue games like Werewolf. I just can’t stop fantasizing about new and exciting uses/possibilities for it (laughs). The IR camera and HD Rumble. Especially the HD Rumble, which is capable of conveying far more intricate sensations than anything up to now. I keep imagining new ways to use it, like during the exploration segments of adventure games. The introduction of the hardware was very fascinating. I’m very excited thinking about all of the different ways to use the little removable controllers, with their various sensors, HD Rumble, and the IR camera packed inside them. But I felt Nintendo’s excessive focus on new IPs was unsatisfactory. There were plenty of Switch-friendly titles that showed off the console’s features, but I think they should have appealed to fans with more of their existing titles, like Mario Kart 8. I came up on the stage during the presentation, and even during the the preparation meeting, you could feel this extraordinary fighting spirit from Nintendo. So I felt kind of nervous for the first time in a while, as I was the one who kicked off their third-party announcements. It’s like a mechanical nexus of modern computer technology. It takes a solid resolve to pack absolutely everything in like that, without making any sacrifices. Now it’s up to the software studios to make the most out of it. 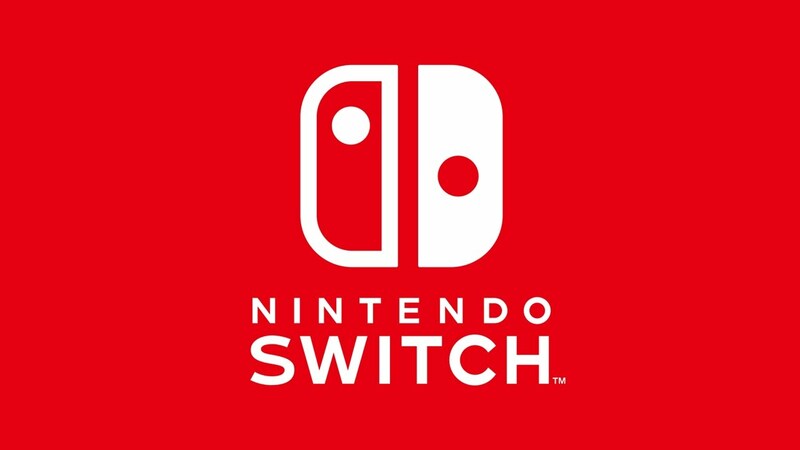 If they can make games with unique enough features to rival the plethora of features the Switch itself has, they’ll be great matches. We’re already working on Puyo Tetris S for it, but if I were to make a new game on it, I think I’d probably do something that focused on the split nature of the Joy-Con, where you attach different things to them. The fact that the online services will be subscription-based in the future is something important to consider. I think it would also be essential to base a ground-up game on the HD Rumble.